AC Logix, Inc. promises each of its Clients not only superior service but the ability to track their equipment costs and trends, by each individual piece of equipment by site, online, at any time from anywhere. 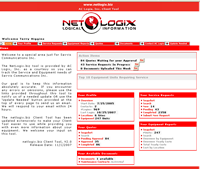 To fulfill this promise, AC Logix, Inc. provides NetLogix.biz, a fully interactive online tool available 24x7 where Clients can instantly access their equipment inventory and service requests. Netlogix.biz has been designed specifically for AC Logix, Inc. Clients and is fully owned and maintained by AC Logix, Inc. We made the commitment when we began AC Logix, Inc. to provide our Clients all the information they need to make the best possible decisions with regard to equipment repair expenditures and meeting budgetary forecasts. As your desired information changes, the Netlogix.biz Tool can be adapted to meet your new tracking expectations. 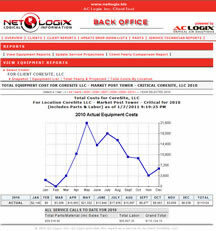 The NetLogix.biz Client tool is login protected with each Client able to view ONLY their equipment costs and trends. Equipment Service and Preventative Maintenance Calls are updated automatically by AC Logix, Inc. whenever a site visit is documented and service is rendered. View Equipment Specifics by site. View all Service Requests and Preventative Maintenance Calls, both Closed and Open. Ability to submit a new Service Request and track open requests. 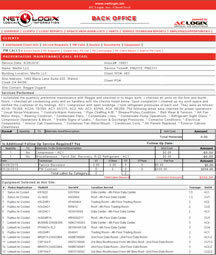 Ability to view Contracts & Agreements with AC Logix, Inc.
Ability to Search Service Requests and Quotes. All Reports in all areas are available for download in an Excel format and some reports can be printed directly from the website. Many documents are available as pdfs for Client review. The NetLogix.biz Client Tool provides access to all the information associated with your equipment, whenever and wherever you want it.